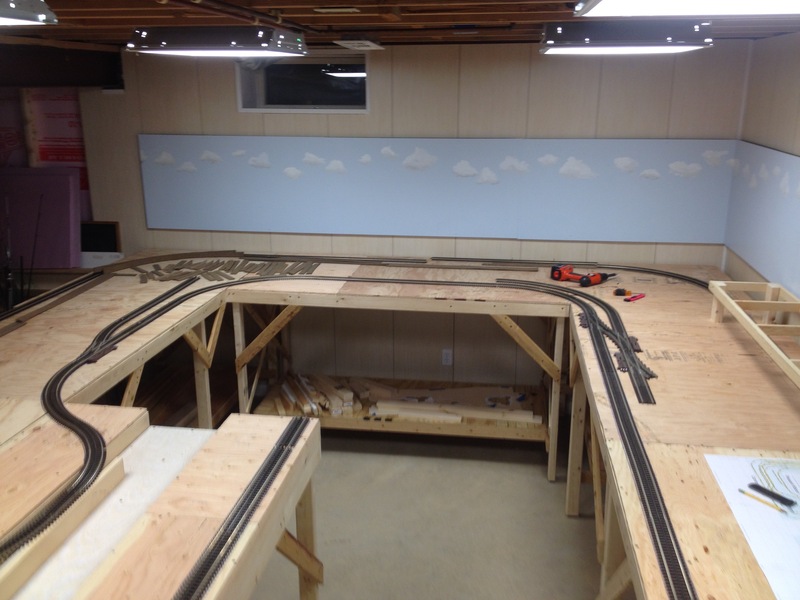 From previous posts you know that I’ve looked at the available space in my basement, selected the gauge (size) of trains I’m going to model and constructed bench work, which serves as the foundation for everything. You also know I spent a considerable amount of time creating a track plan that would permit me to run trains in a loop for visitors, yet still be challenging enough to operate trains like a real railroad. Giving life to these ideas, pretty much consumed my first year of construction. Last year (year two) I finished laying down the lower level of track except for the rail yard, which I plan to finish next year (year four). This year (year three) my goal is to build the upper level bench work and then lay the upper level track. Let me stop at this point and explain a little more about how I designed my track plan and the history I created to explain the existence of my railroad. I used a computer software program called, AnyRail to design my track plan. I chose this program because it has a vast library of the commercially available track pieces in all the popular gauges, and it looked easy to use. A free trial version of this track planning software is available online, just Google AnyRail, and you should be able to find it. 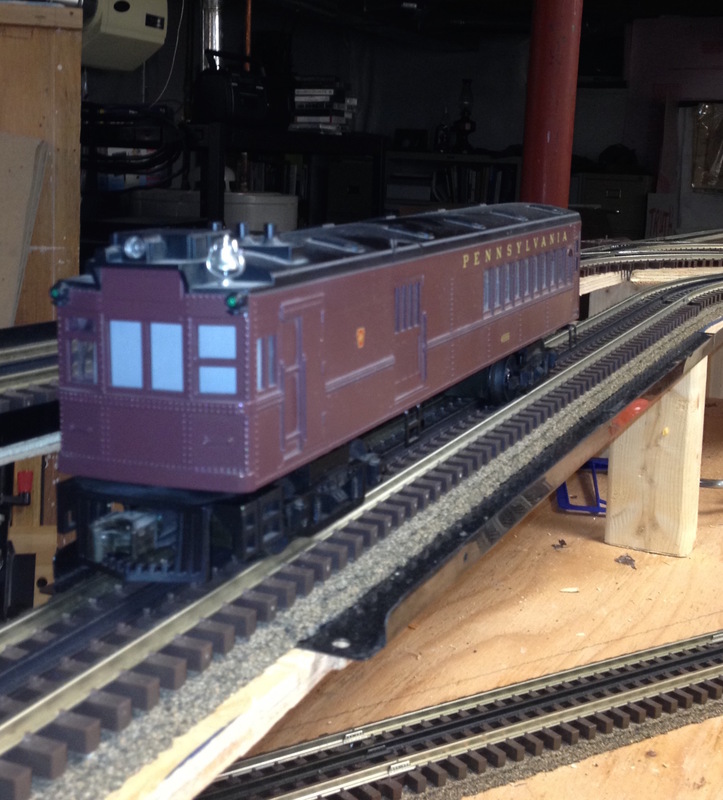 Once I installed Anyrail, I selected the Atlas, three-rail, O-gauge track library and began experimenting with different designs. When I was finished, AnyRail allowed me to print out a bill of materials of the track sections and switches I needed to purchase. I was also able to print the blueprint in whatever size I wanted. 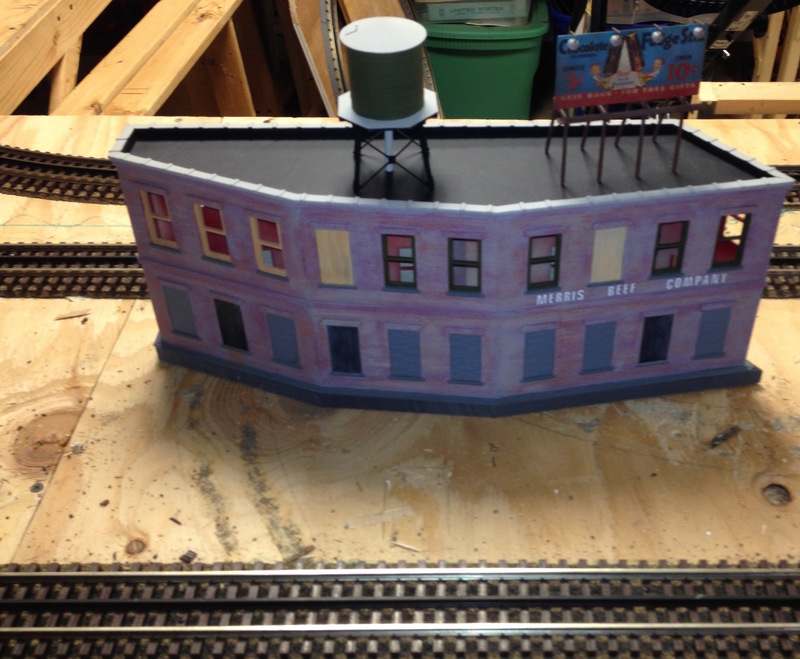 As I was creating my track plan I also began fabricating a history and purpose for my railroad. Because I chose a larger scale of trains and had a medium space to build it in, creating a replica of an actual railroad was out of the question. 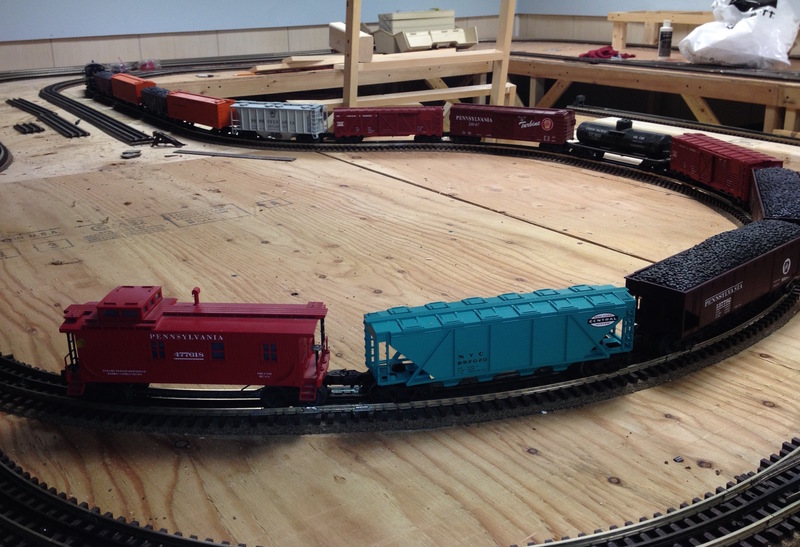 After reading a number of magazine articles on operating model railroads, I chose to model a small section, also called a division, of a famous railroad. 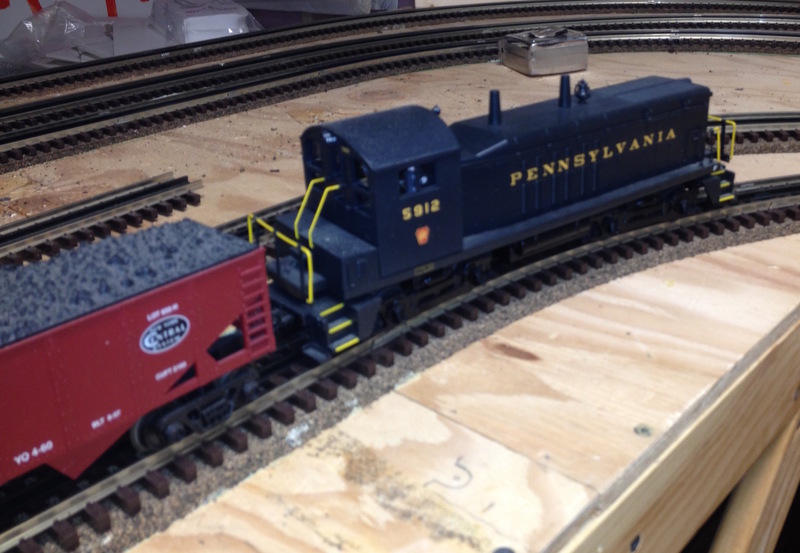 I already owned a few locomotives with the “Pennsylvania Railroad” road name, so the P.R.R. became the starting point of my history. Years ago I fell in love with the story of the N.Y. Ontario and Western Railroad. It became the first major railroad to go bankrupt. I believe the year was 1957. It was a scenic railroad that began in Oswego on the shores of Lake Ontario and ran south through the Catskill Mountains and along the Hudson River eventually making its way to New York City. 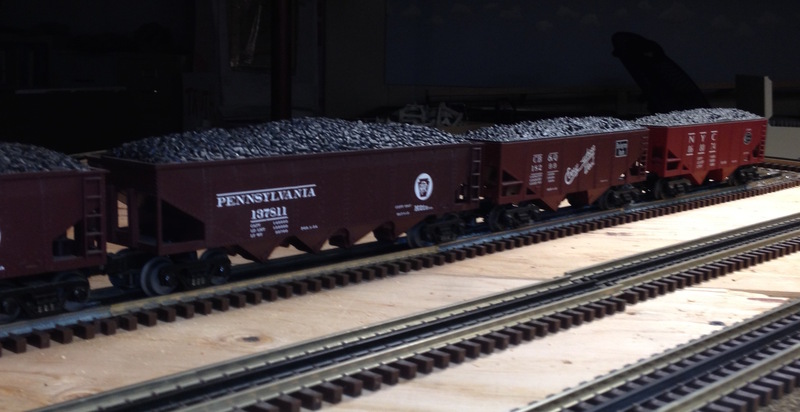 The railroad temporarily avoided bankruptcy years earlier by laying track into northeastern Pennsylvania to tap into the anthracite coalmines. I decided to create a fictitious historical account that would combine the two railroads. My “historical account” maintains that the P.R.R purchased the southern half of N.Y.O &W. after it fell into bankruptcy. P.R.R.’s motivation was fueled by their interest in the coalmines, enhanced access to New York City and a desire to connect directly to markets in New England. One magazine article I read suggested that it was okay to make up town names that sounded like they belonged in the area you were choosing to model. 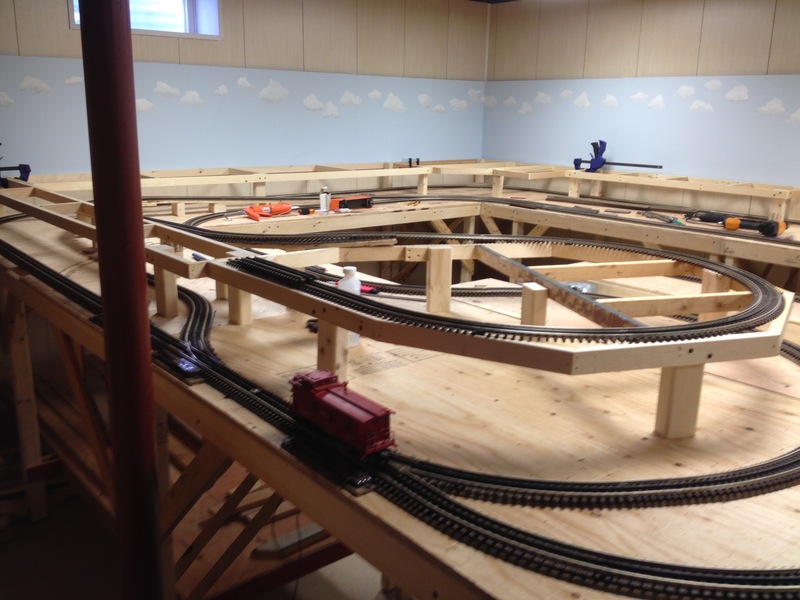 Creating my own towns, coupled with a fictitious railroad history, gave me the freedom and inspiration to construct my dream model railroad layout. Here is a list of choices I made necessary to keep me from getting sidetracked. 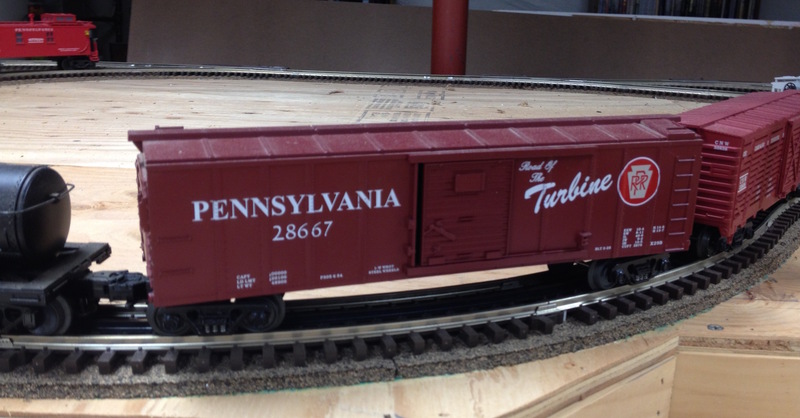 Run Pennsylvania Railroad locomotive equipment and cabooses, which are readily available at hobby stores. Use the post WWII time period, permitting me to run both steam and diesel locomotives. Model the section of railroad between Wilkes-Barre, PA and New York City. My railroad yard would be geographically located in the middle of my railroad in Middleberry. Trains will run east and west out of Middleberry. Railcars would enter and leave my railroad via connections to New England, NY City, and the Pennsylvania Railroad main line. My railroad would serve only an industry or two in each town so I wouldn’t attempt to model towns in their entirety, just the industries my railroad served. To make operating my railroad more interesting I chose some complex industries such as a brewery, a paper mill, a factory and a coal mine. I will also include some passenger stations and a few smaller industries. 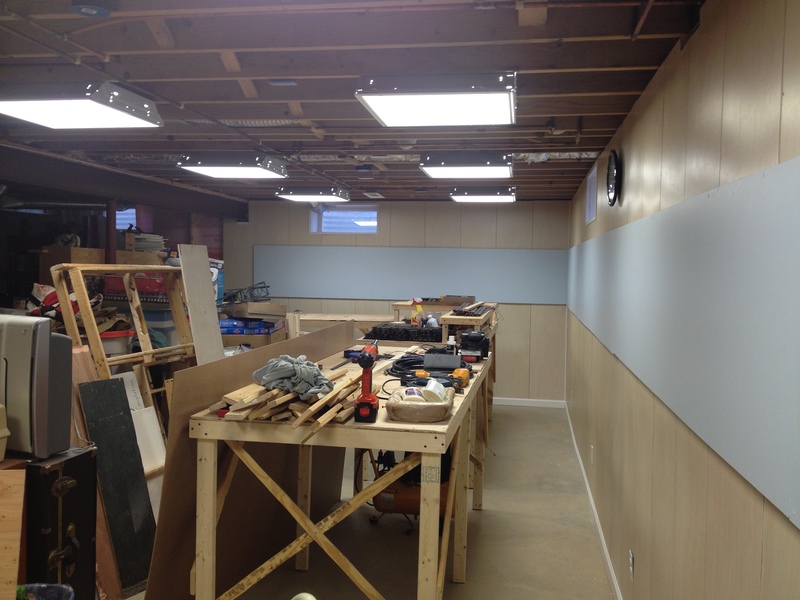 Be sure to check back with me in a couple of weeks to see how my layout is coming along. 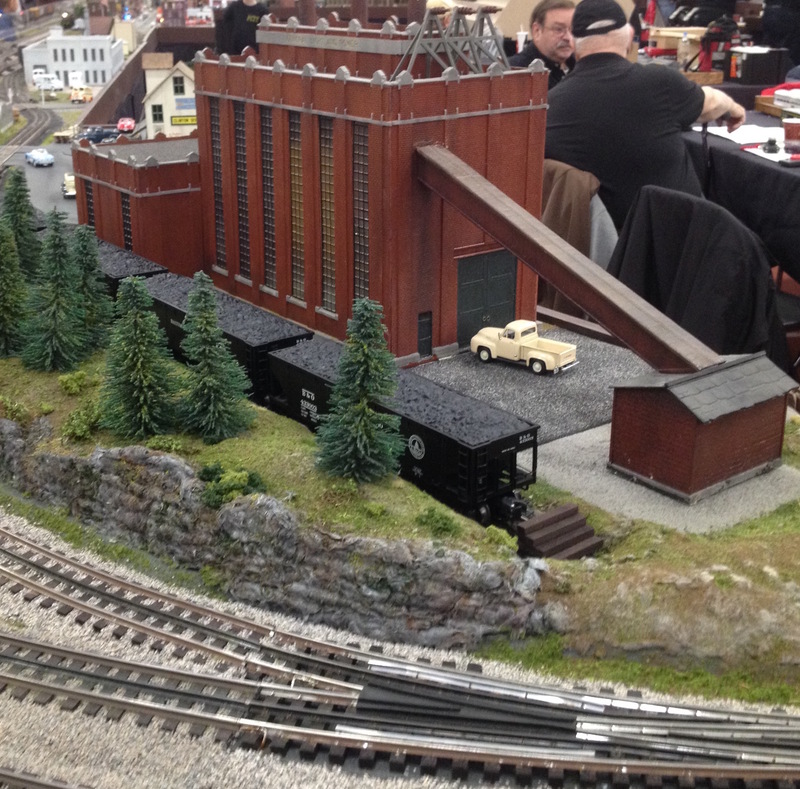 This entry was posted in Model Railroad and tagged Hi-rail, Lionel, model railroad, model train, MTH, NYO&W, O-27, Operating train, PRR, train layout on December 10, 2015 by roushwm.